We were born out of hate graffiti at an elementary school in our Denver, Colorado neighborhood in November 2016. We came together to choose love over hate and advocacy over cynicism. 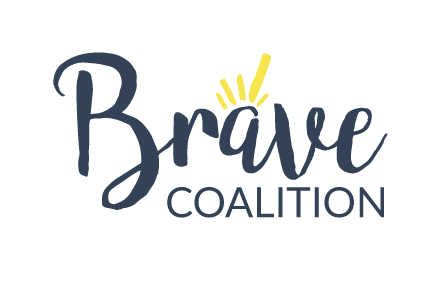 The Brave Coalition’s mission is to create an inclusive world in which all people can live their fullest lives regardless of identity or circumstance. We work to identify and address individual, cultural, and systemic biases by increasing awareness, shifting mindsets, and inspiring action. The goal of our work is to understand, embrace, protect, and celebrate our world's beautiful human diversity. We tackle difficult issues in a deeply divided world by creating safe spaces where people can learn and grow together. We host powerful community events, maintain an inspired online presence, and create meaningful partnerships. Our current focus is the Denver, Colorado community, though we intend this work to have ripple effects into other communities. Brave Moving Pictures: We host community screenings of powerful films, featuring guest appearances and moderated discussions. Brave Beyond Words: We host facilitated, small-group deep dives into books of importance. Brave Kids: We bring inspiring educational programs to students and teachers in the community. Brave Social Media: Read and comment on our Blog or join our Facebook page. See our Events Page for information on past and planned programs. We welcome you to show up, connect, question, and act. Be Brave!